I have my first 3D printer arriving next month. Ok, technically it’s a robot with a 3D printing head, but this is something I’m absolutely going to have to try. When it comes to regular prints, I just leave it up to my lab. They can produce them far less expensively and far more consistently than I can do at home. But this looks pretty cool. A 3D printed Lithophane. Essentially, a lithophane a print which uses depth to mark the different brightness levels of your image. When it’s lit from behind, the thinner parts let through more light than the thicker parts. And so, the image comes to life. In this video from Daniel DeArco, we see exactly how it’s done. Paul Kohlhaussen, a student from Richmond in London has created a fully functioning 3D printed camera. Paul took the best features from an array of costly high-end cameras and reverse engineered them into the camera of his dreams. 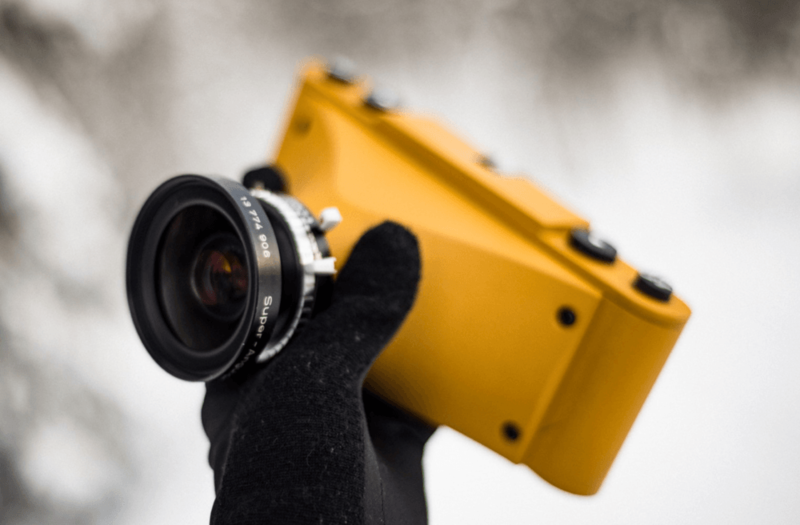 Without the funds to afford the camera he needed to get the perfect shot he wanted and no knowledge of CAD, Paul taught himself everything from scratch when designing and building the eight components that make up the camera’s modular design. In the past, the thought of making your own lens would probably seem like a fairly impossible mission. For most of us, it still seems pretty out of reach. Not for determined photographer and weird lens master, Mathieu Stern, though, who created his own 3D printed lens. Making your own 135mm f/1.8 has to come with a pretty huge sense of accomplishment already. Upon first using it and seeing the results, though, you can’t really fail to be impressed. Obviously, the lens is manual focus, and doesn’t feature any fancy features like image stabilisation, but I think we can let that slide. I’ve always assumed a camera should be impartial. Sharp and bright, lacking consideration or mystery, randomness or error. Lately we’re asked to apply a filter to add a gloss of emotion after the fact. Analog photography takes the sense of a moment and turns it into a tangible image. My 3D printer turns the content of my thoughts into real shape and form. I wanted to know if there’s a more authentic photograph to be found at the intersection of design and photography – so I set out to make a camera with only a 3D printer. The result is the SLO, whereby the act of recording a moment expands to include the creation of the recorder. SLO is a single lens objective. SLO is the mechanical shutter. SLO is the speed of good design, and the feeling of capturing life with a camera you made yourself.